Group Chairman Adrian Sciberras addressing the employees during an ice-cream day held at the office to celebrate the fifth anniversary. Business Concept International offices in Birkirkara Bypass. This month is a red-letter one for two local companies as they celebrate their fifth anniversary. 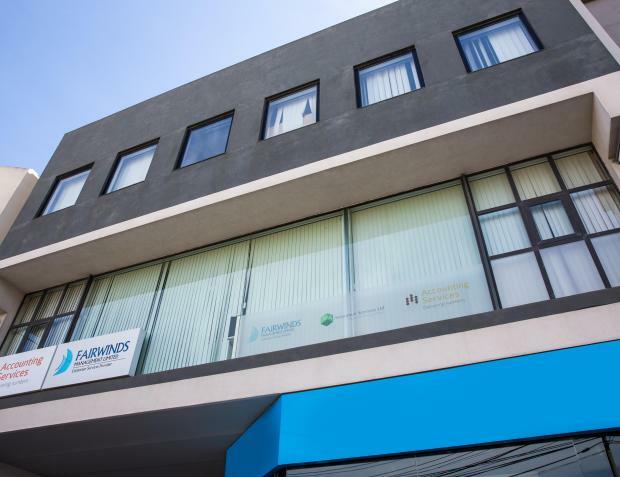 Accounting Services Ltd and Fairwinds Management Limited – both major companies forming part of Business Concept International plc – are this month celebrating their fifth anniversary. It all started back in January 2012 when what started as a self-employed venture evolved into the formation of a major holding company. The latter incorporated a diversified group of nine companies, operating in eight sectors, namely: corporate services, accounting, marketing, currency exchange, auditing, property, recruitment and administration. Of these nine companies, two – Fairwinds Management Limited and Accounting Services Ltd – were both established in July 2013 and service a number of brands. Fairwinds Management Limited is made up of a strong group of ambitious professionals with a vast experience in corporate services, legal and tax advice. It is entrusted by various companies for the administration of their corporate entities and tax and wealth management and provides tailored corporate structures efficiently and in a timely manner. It also manages and services iGaming Licence Malta, Malta Incorporation Leader, Register Company Malta, and Malta Incorporation Specialist. An ISO 9001-certified company, Accounting Services Ltd offers a complete range of accounting services to individuals, businesses and companies, both in Malta and abroad. The company also manages The Incorporation Specialist, Incorporate in Malta, and Malta Corporate Provider. With more companies being incorporated as part of the group of companies, there was a need to increase and strengthen the human resource. In fact, to date, the total number of employees amount to over 25. Due to this increase, Business Concept International plc is now looking forward to the coming years during which it will build its own premises as a head office in a site earmarked on the Birkirkara Bypass. Recently, Group Chairman Adrian Sciberras FCCA, MIA, CPA announced that in its second year as a group, Business Concept International plc managed to achieve double digit growth (2017) while delivering a positive EBITDA for all shareholders. For more information visit http://bci.com.mt/, https://accountingservices.com.mt/ and http://fairwindsmanagement.net/. This is a sponsored article.